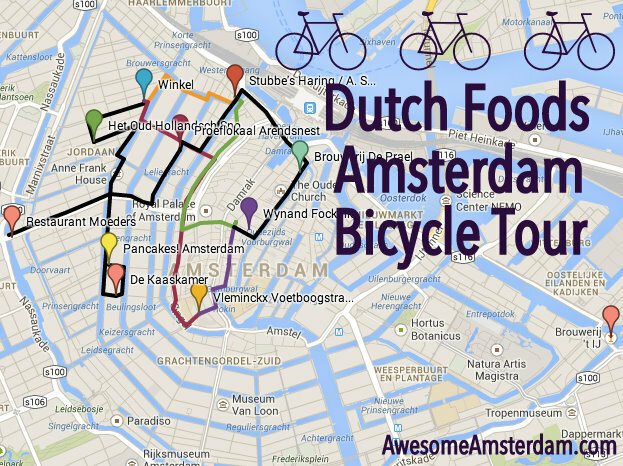 Take a short cycling tour of Amsterdam to sample delicious Dutch foods around the city. 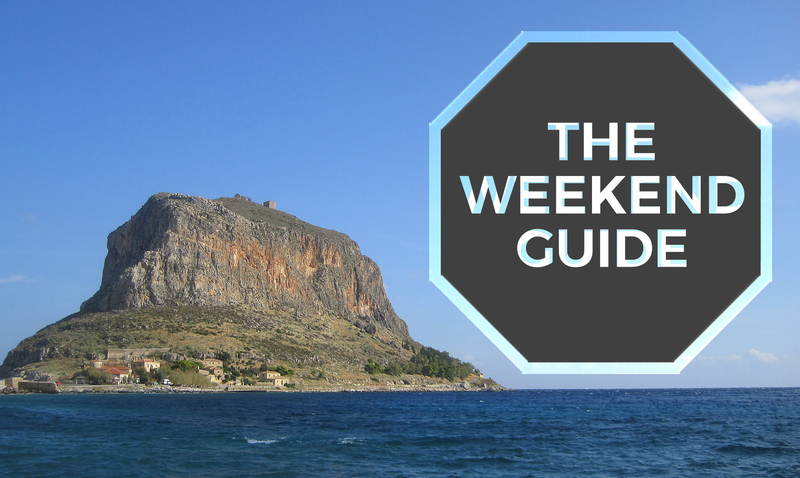 Let’s jump on our bicycles and get started! 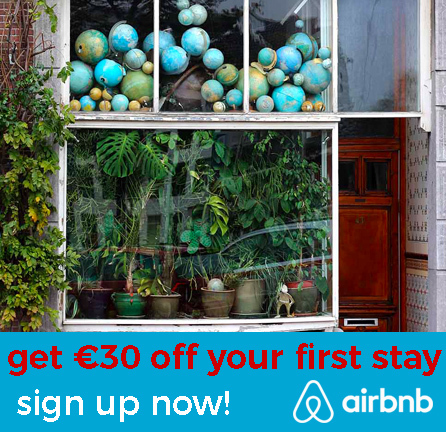 Curious about Dutch cuisine? Have you checked out our list of 10 Dutch Foods You Should Try at Least Once? 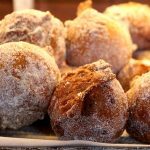 How about 10 More Dutch Foods You Should Try, and 10 Dutch Foods You Should Also Try, Part III? 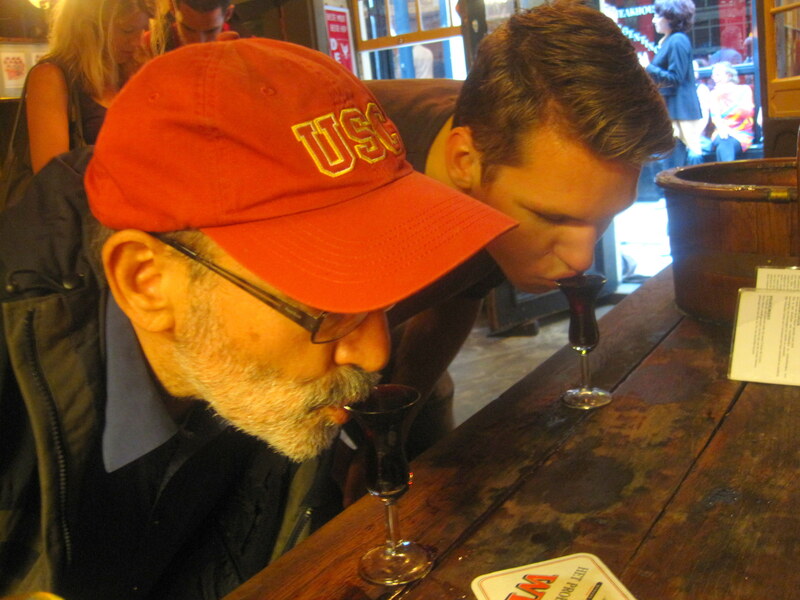 And definitely do not miss these 7 Dutch Drinks You Should Be Sure to Sample. But more importantly, how many of these foods and drinks have you actually eaten? 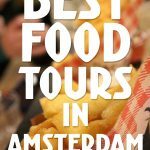 Well, let’s make our way around Amsterdam to try some of these Dutch foods on a self-guided tour. 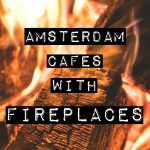 Here are some guided food tours in Amsterdam, and take a look at a few of my favorites. Let’s sample some Dutch delicacies. 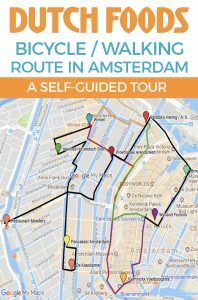 Click here for the detailed cycling (or walking) map or keep reading to see it below. 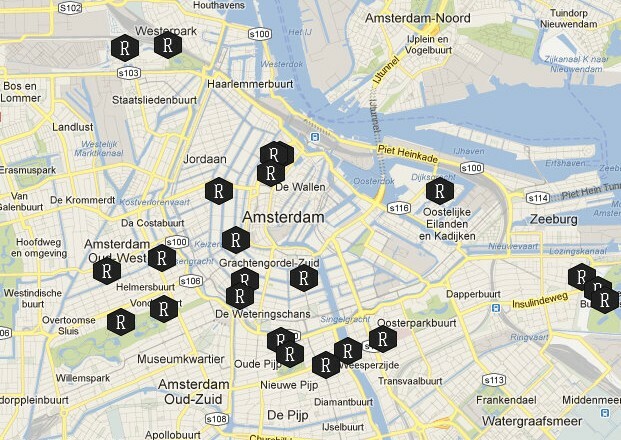 For places to rent a bike, check out our guide to cycling in Amsterdam. 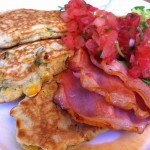 We are going to start the day doing Dutch food wrong! In the Netherlands, pancakes or pannenkoeken, are typically eaten not in the morning but for dinner in the evening. 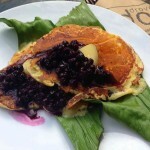 They are popular with families with small kids, as of course children usually love pancakes. 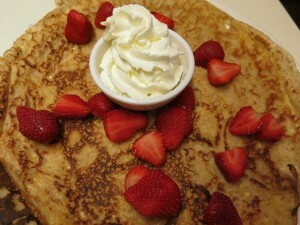 However, you don’t have to follow tradition and you can have them any time you want at Pancakes!. 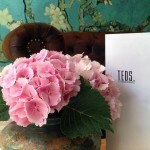 The restaurant in the 9 straatjes was so popular there are now two locations in Amsterdam. 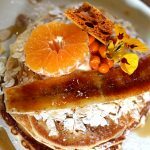 This restaurant is a favorite with visitors to the city and they serve pancakes from around the globe. But try the Dutch version which is about the thickness of a crepe. If you’re having your pannenkoeken for breakfast, order a koffie verkeerd along side. Koffie verkeerd means wrong coffee and it is a hot cup of coffee with a lot of warm milk. 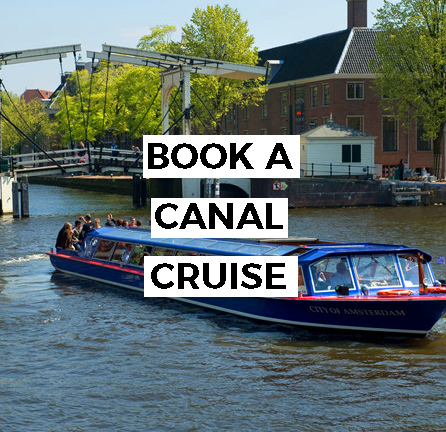 After breakfast, take a short stroll along the canal or so a little window shopping in the 9 straatjes to digest your meal. 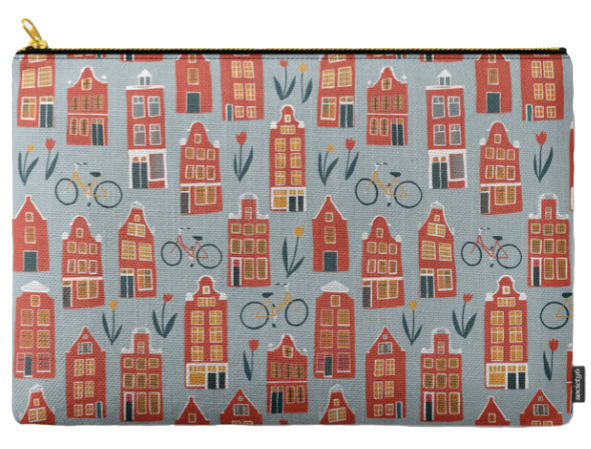 When you’re ready for more, jump on your bicycle and pedal over to De Kaaskamer van Amsterdam. You should be able to smell the shop from a few doors down. 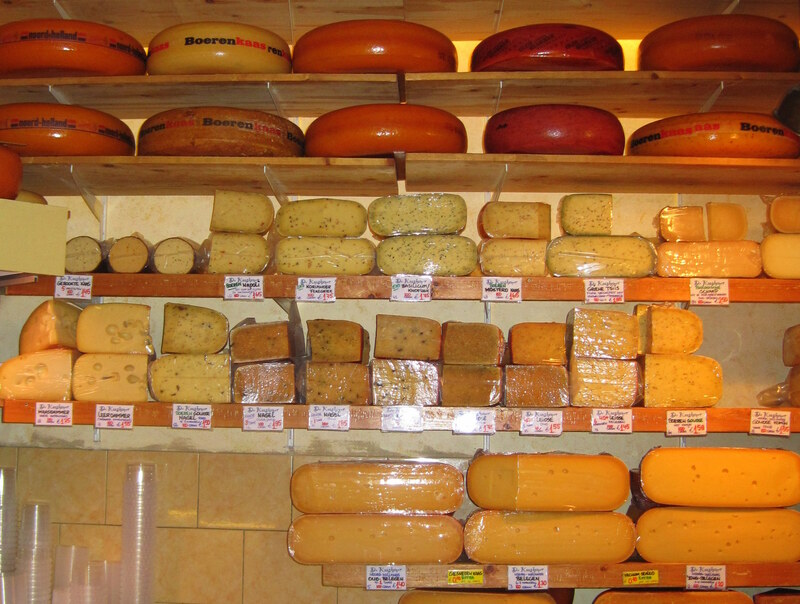 While there are many places in Amsterdam to eat cheese, we like this charming old shop for its wide variety of cheese styles and types. 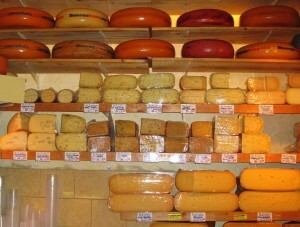 You can try Goudse kaas, boerenkaas, geitenkaas, and more. Try some samples and buy some for later. Kaaskamer also makes sandwiches so you can grab on to go and eat it canalside if you like. 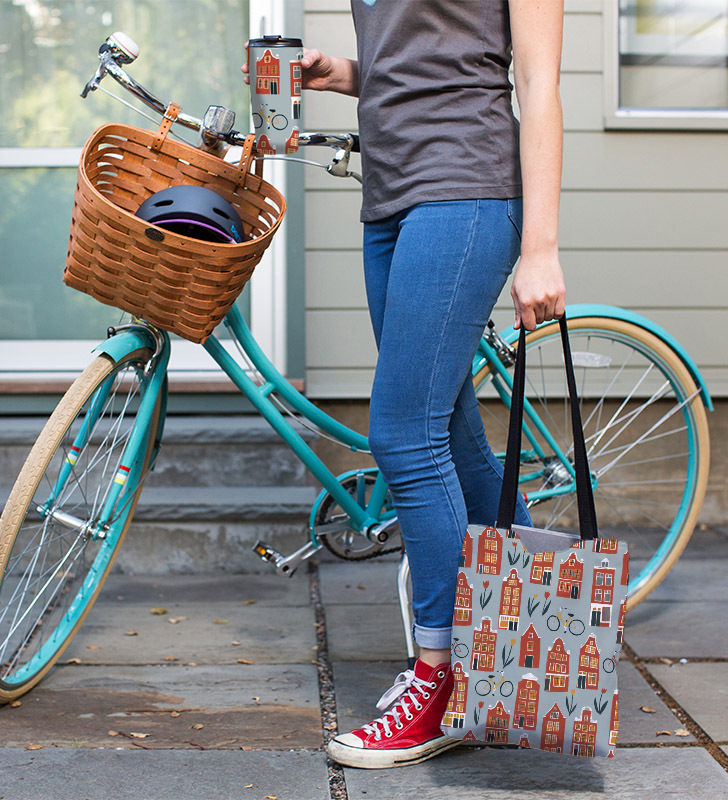 We hope you have a basket on your bike for all the goodies we’ll pick up today! Are you still hungry? A short cycle away is the Oud-Hollandsch Snoepwinkeltje candy shop. This shop in the Jordaan is a charming old-style candy emporium with big glass jars of candy lining the walls. 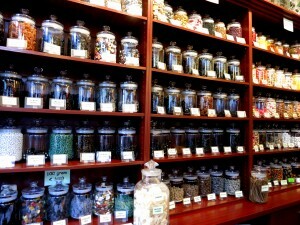 Here you will find all kinds of candy including Dutch drop, which is black licorice. Drop comes in all shapes, sizes and flavors including mint, salt and fruity. Maybe the friendly shop owner will let you taste some samples to choose your favorite before you purchase. Buy some for gifts and get a little for yourself for later. But don’t scarf down too much, save room for our next treat! 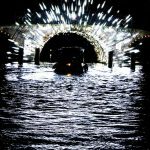 Learn more about Dutch drop here. If you didn’t get enough sugar at the candy shop, make your way to Winkel or Papeneiland for the best appeltaart in town. You’ve heard of apple pie? Let’s try the mother of all apple pies, the appeltaart. 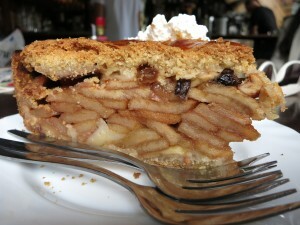 Winkel and Papeneiland vie for the title of best appeltaart in Amsterdam. Maybe you want to try a slice at both spots and decide for yourself? Don’t forget the slaagroom on top and a koffie verkeerd alongside would be nice too. Winkel and Papeneiland are both perfect places to sit outside on a sunny day and watch traffic pass in the Jordaan. Both spots will be super crowded on Saturdays due to the Noordermarkt so be forewarned. Have some Haring or Patat… or Both! After all that sweetness, you’re probably wanting a savory snack. How about some haring for an afternoon pick me up? You can try haring at many fish stands around the city. The closest one in the Jordaan is at the end of Haarlemmerstraat called Stubbe’s Haring. Order the haring by itself and eat it in the traditional way: top it with onion and hold the fish by its tail, tilt your head back and bite! Or get your haring already sliced or even on a bread roll. If you can’t handle the haring, how about some patat? 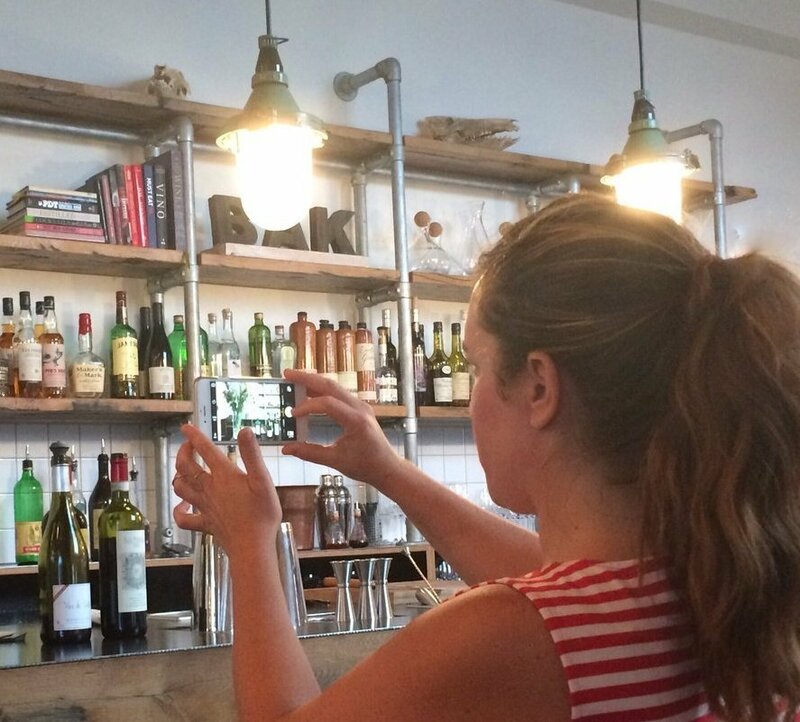 Hop on your bike and head to our favorite place for fries, Vleminckx. Do it like the Dutch with copious amounts of Zaanse mayo. It’s a little tangier than the normal mayo, and is a lot tastier if you ask me. If you are not a mayo fan, go for curry ketchup or maybe sate sauce! After your snack, soon it’s time for a drink, don’t you think? If you want to sample some delicious Dutch liqueurs, make your way to Wynand Fockink nearby. They serve their own tasty brandewijnen and flavored jenevers. You can sip on them alone or with a beer chaser. Once you’ve enjoyed a few sips of liqueur it’s time for Dutch beers. There’s no place better than a local Amsterdam brewery like De Prael or Brouwerij ‘t IJ or maybe Arendsnest Proeflokaal, the Dutch beer bar. Pick your favorite or visit more than one. If you’re still hungry, along with your beer order some nice aged Dutch cheese or bitterballen. These tasty fried snacks are delicious with a beer and if you haven’t tried them yet you must do so! My favorite snack is ossenworst. Have you tried it? 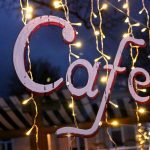 De Prael serves some of the best in town. 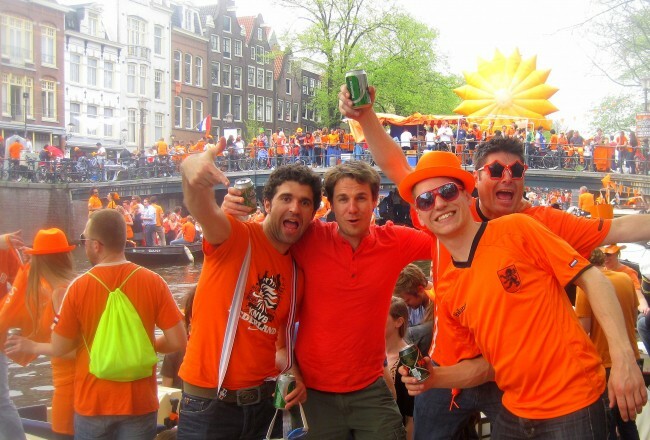 Check out the 7 Dutch Drinks You Should Be Sure to Sample. After all this eating and drinking, are you still hungry for dinner? 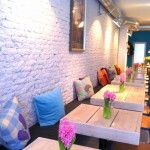 Head to Restaurant Moeders for a nice bowl of erwtensoep or maybe try stamppot met rookworst. 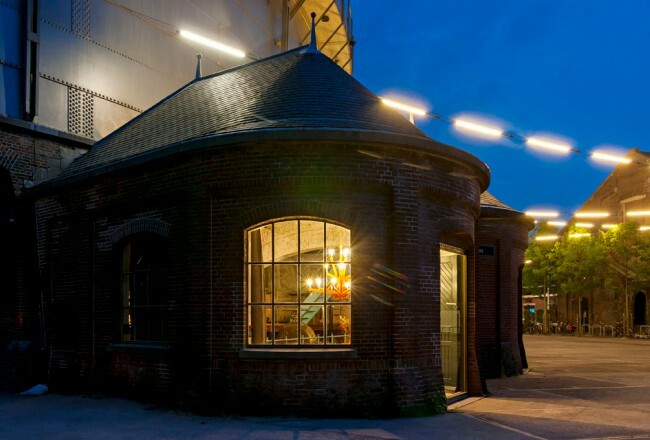 Or head to another restaurant where you can try Dutch cuisine. If you would like to look at a more detailed version of this map, click here. 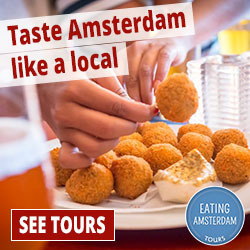 We hope you enjoy your day of eating around Amsterdam!